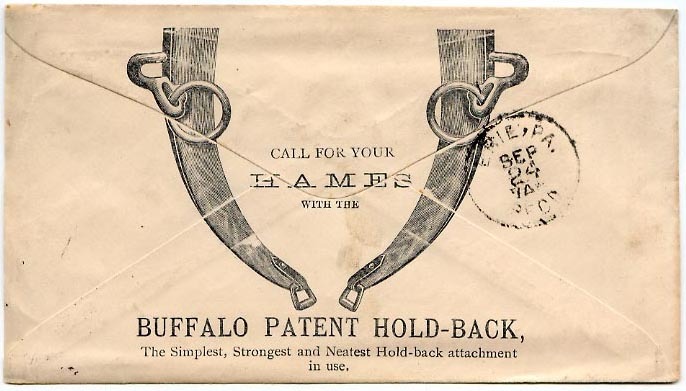 Mr. Letchworth was one of the partners of a Buffalo Iron Firm known as "Pratt & Letchworth". The Company produced a variety of "malleable" iron products for many years. 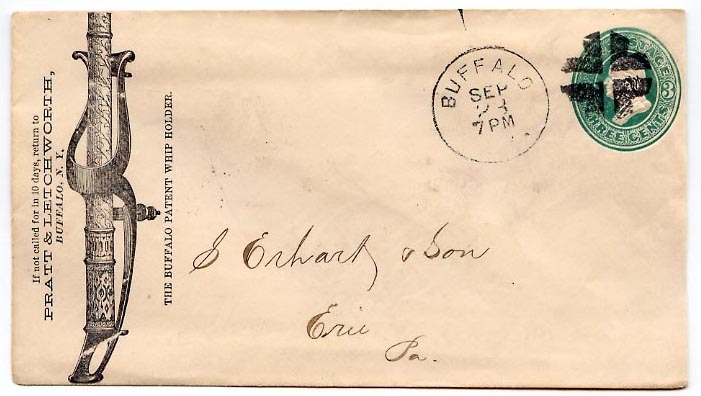 The adverstising envelope below was probably sent in the early 1900's but may date from the 1880's or 90's. Although Mr. Letchworth had already retired by that time, he was still playing a significant role in the Firm. See an 1872 description of Pratt & Letchworth.